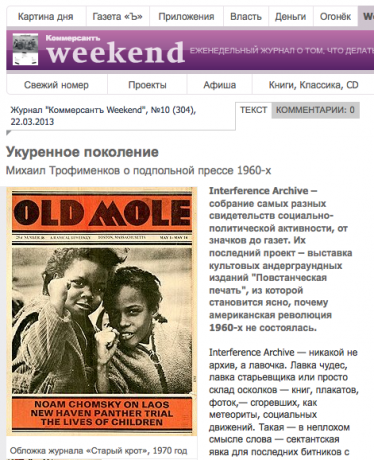 Kommersant a Russian daily wrote a review of Rebel Newsprint, our Exhibition on the Underground Press of the ’60-70’s, in Russian of course. 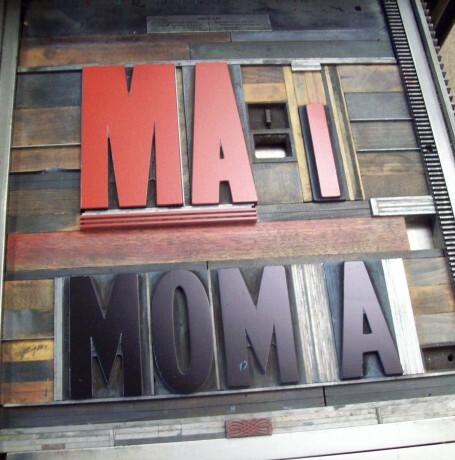 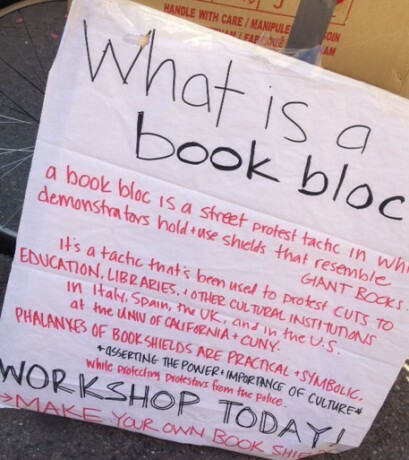 Create Your Own Book Bloc! 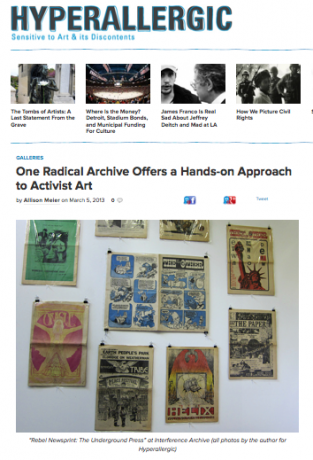 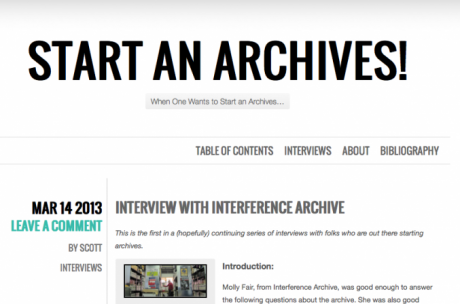 Molly Fair, from Interference Archive, was good enough to answer the following questions about the archive. 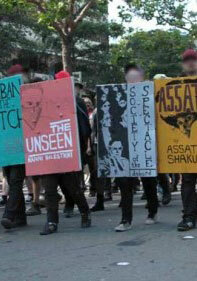 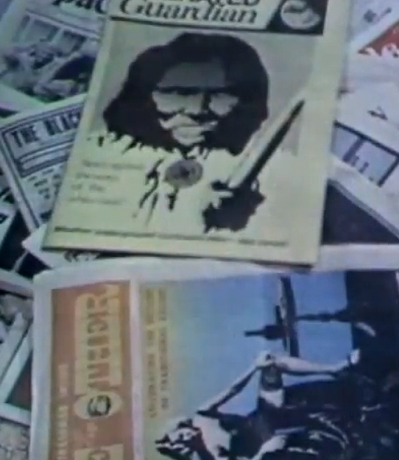 US premier of documentary and zine about the Quebec student strike!